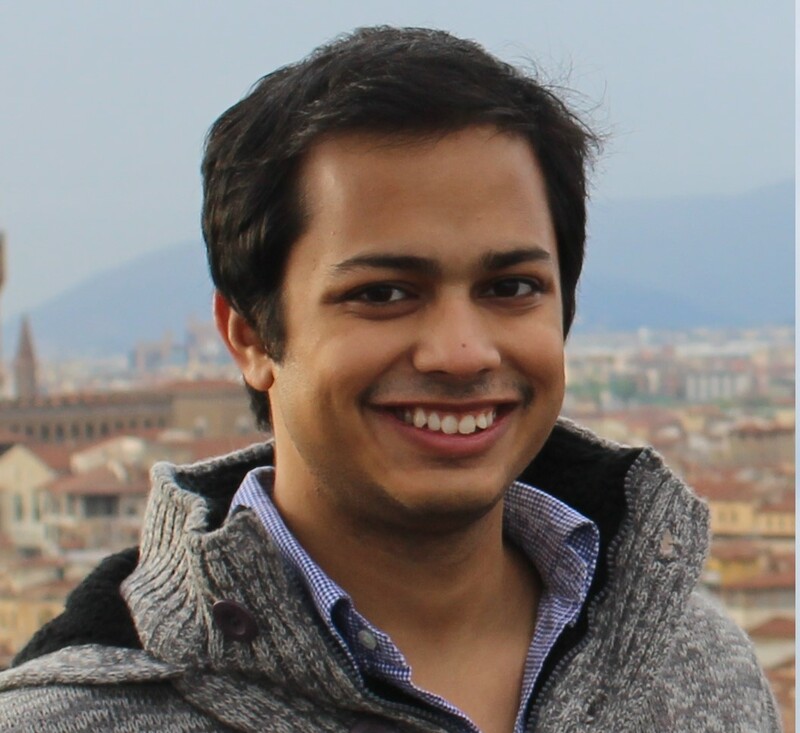 Our featured member for March 2015 is Minhaj Chowdhury. Minhaj is the CEO and Co-Founder of Drinkwell, a social enterprise eradicating the arsenic water crisis by blending novel water purification technology with a micro-franchise business model. As a Bangladeshi-American, Minhaj is passionate about solving a crisis that results in one out of every five deaths in Bangladesh alone. He was a Fulbright Fellow to Bangladesh in 2011, founding Director of the Clean Water for Peace project, and was recently acknowledged as a 2014 Echoing Green Fellow and named to Forbes 30 under 30 in Social Entrepreneurs. Read more about Minaj’s experiences below. Many people use their spare time to volunteer for organizations or causes they are passionate about. What motivated you to forgo a more traditional and secure career path, such as becoming a doctor, and dedicate yourself full-time to a social cause and start Drinkwell? What advice would you have for someone else considering a similar path? It’s funny you mention becoming a doctor. I went to Hopkins, which is largely known for medicine so the expectation from many in my family was that I going down that natural route. I entertained the idea freshman and sophomore year, but found myself in Bangladesh sophomore summer distributing 100 household water filters with a college roommate. It was a confluence of a lot of research from Hopkins taking place at Hopkins along with how my family was originally from Bangladesh that had me pursuing this summer project. I always wanted to learn more about my “other home” and upon doing more research learned that the issue of arsenic was quite severe in Bangladesh, considered to be the largest mass poisoning in human history by the World Health Organization. It was a fantastic experience where I was able to realize how many of the underlying causes of disease across the country was due to a lack of access to safe water. This realization drew me to Public Health, my eventual degree. I ended up thinking how I could impact the most lives the fastest, and found that I could only help so many at the bedside, but that if I could ensure safe drinking water to entire communities I could theoretically help millions if done right. As a Fulbright Fellow to Bangladesh and through your work at Drinkwell, you’ve spent considerable amount of time working in Bangladesh. Can you elaborate on a particular instance that really impacted you and shaped your perspective moving forward? OR What’s the most valuable lesson you’ve learned from these experiences? My most memorable experience is the “John Effect”, something that continues to stay with me and informs how I choose partners with Drinkwell. The basic gist is to be cognizant of when it might be appropriate to have outsiders take on operating roles in critical infrastructure projects in place of local community members. The story has a very amusing ending, you can read more about it here. But in terms of valuable lessons I’d have to say that one should avoid being an “advocate”. Too often I meet people who have a specific mousetrap they wish to peddle to an unassuming community. Such force-fitting rarely results in an enduring solution. I’d recommend first removing all biases and spending time getting to know a community, and understanding where they prioritize a certain problem, such as lack of access to healthcare or clean water, in the larger context of issues they face. Meaningfully connect with them and get to know the rhythm of their life, what makes them tick, what their aspirations are, and how current challenges are being dealt with. Only after establishing a deep connection will you have a fact pattern with “mentions” of certain problems. If say, after one week, there has been more mention of a lack of quality education over safe water, it’s safe to assume that there isn’t much will to engage in behavior change for a clean water solution as opposed to an educational initiative. These insights are critical to designing a solution that will actually be adopted. Can you describe one of the greatest challenge you’ve faced in your personal or professional life? How did you overcome it and what did you learn from it? A professional challenge has been having senior level officials in Bangladesh and India (across the NGO, for-profit, and public sectors) look beyond my age and take me seriously. There is more of a meritocracy in the US where a 25-year old entrepreneur can gain respect with strong conviction, good work product, and even better answers to questions that are served up as “gotcha’s”. India and Bangladesh however operate very differently. Trust, credibility, and wisdom seem to stem more from gray hair (or the lack thereof). I initially took it as an insult, and felt the onus was on me to prove these people wrong. I however learned very quickly that certain cultures are hardwired to have certain beliefs, and that picking your battles is critical to ensuring success. I wasn’t there to change the culture, but instead to ensure safe drinking water for all. I’ve since put a much more senior team of leaders around me (with plenty of gray hair) who keep me in line and lend more credibility, and ensure I remain focused on the goal at hand, as opposed to trying to pick fights with all of the cultural discrepancies I find in the countries we operate in. Before Drinkwell I was involved with a Boston Startup Weekend event where I ended up winning with an idea called “Ashalytics”. The idea was a mobile app that could predict when certain water points would fail based on user data over a prolonged period of time. The issue was we received a lot of PR due to the win, and immediately thought the traction was sufficient to raise money with mockups. The approach failed miserably. We had no customer traction, no purchase orders, simply one competition win and inflated egos that was persistent on raising money before doing the hard work of actually building a business. The team also didn’t have any full-time members, and was a hodgepodge group cobbled together at the weekend event. We didn’t have the best team chemistry, but persevered in the hopes of raising money. We continued entering competitions, kept refining our pitch deck, spent endless hours on our financial model, but spent no time talking with the customer. It was no surprise that we eventually shut our doors and failed. I learned many things from the experience – be selective when it comes to your team, focus on the customer, and accelerators and competitions can be distracting to actually building a business (free pizza and info sessions can get in the way of executing). What is the best career or leadership advice you’ve received and how has it shaped your decisions and enable you to reach where you are today? “Do what you love because you’re going to be good at it, and if you don’t do what you love somebody else who really loves what they’re doing will beat you at it.” Fareed Zakaria mentioned this at my commencement speech and I actually still remember those words to this day. This quote really helped me sift through the noise of parental pressures and my inner critic always questioning why I’m not pursuing the less risky path of a career in consulting and/or finance, or even medicine. The life of an entrepreneur can be hectic. Do you have any productivity tips that you’ve used to balance everything? Have your “big 3” everyday that must be done before you go to bed. Decide on those the night before. Aside from fire drills that come up throughout the day, don’t plan on getting anymore done by growing your to-do list throughout the day. Try and get those done before you get to your email. If something is that urgent, you’ll get a phone call. This helps to make sure you are making good on those tasks that aren’t urgent, but important for long-term success. Separate the two, and actually take one day off every two weeks. Launching operations in India and Bangladesh with quarterly board meetings in the US creates quite the hectic travel schedule, and I easily find myself traveling on weekends so I can focus on Drinkwell during the week. This however comes at the expense of spending time with friends and family, both who are critical to helping ensure I keep healthy and am able to ‘turn it off’ sometimes. One of the biggest temptations with launching a startup that you’re passionate about is working yourself to the bone to the point of burnout. While I’m still in the “honeymoon” phase of building Drinkwell, I try to take at least one day off where I totally disconnect from email and work-related items to recharge my batteries – it greatly helps my thought process and mental well-being the next week. Connect with Minhaj through his Linkedin profile or follow him on Twitter at @minhajc. Each month, Muppies features one of our members to share about their professional development story and the insights they’ve gained along the way. This interview was originally conducted in March of 2015. Opinions are of the member and do not necessarily reflect the opinions of Muppies, Inc.